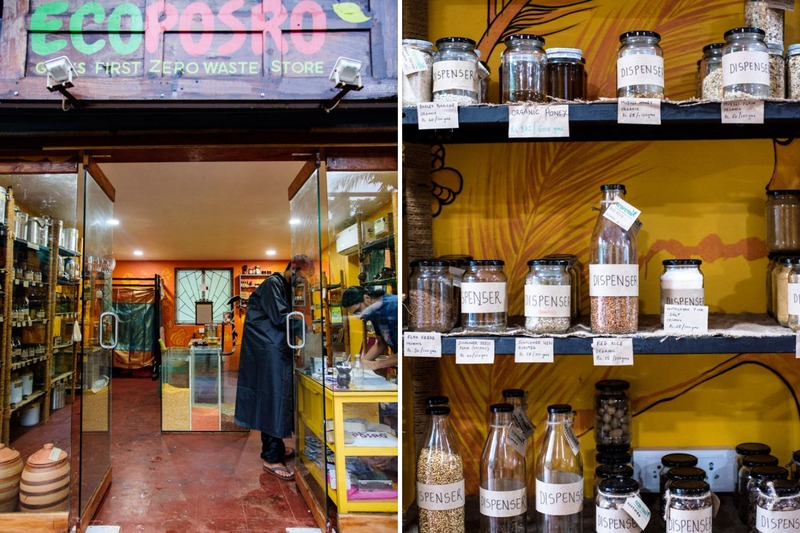 Ecoposro is Goa's, if not India's, first Zero Waste Store concept. Though it was running out of a small section of a restaurant initially, it has finally found a permanent home in Goa now at Parra, and we couldn't be more thrilled. A lovely drive through Parra will take you to this quaint store housed in a garage of-sorts and ample parking. We love their Saturday Market days, where you get to buy fresh vegetables and fruits, straight from the farms. You could find some great stuff like organic Italian seedless lemons, to organically grown kang kong (water spinach), moringa, saba and more, to fresh farm eggs and dairy, pulses, grains that you can either pack in bags you get from home, or in their jars that you can take after leaving a security deposit. From organic soaps and shampoos, they are all packaged using only recyclable materials. You could even pick up items like bamboo straws to avoid using plastic ones, or other items that are recyclable, to package food and drinks or tissues made by an NGO that are recycled, upcycled, unbleached & 100% natural. Not to mention the delicious pickles that are homemade; organic peanut butter or even various cooking oils, including fresh and natural coconut oil. We even got lucky and picked up some Coorg coffee straight from the plantation. Go early on Mondays if you want to catch the freshest of produce and remember to carry your own bags, jars and other paraphernalia and become a part of the community that is trying to make Goa pristine again. They are closed on Sundays every week.